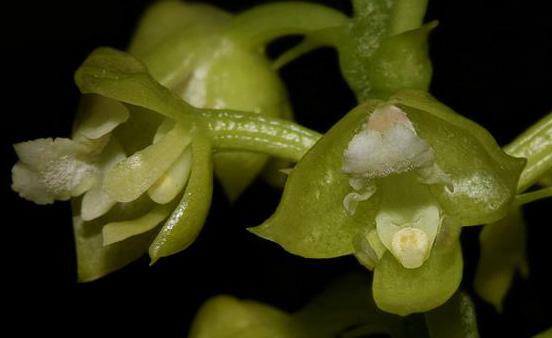 Polystachya is a large, widely distributed genus found in the tropical and subtropical areas of Africa, Asia, Central and South America with a single species extending into Florida. Plants are generally epiphytes, very rarely terrestrial, with small pseudobulbs that have a few to several leathery, fleshy leaves. The inflorescence is terminal to the pseudobulb and may be simple or branched, erect or arching. 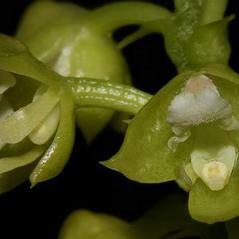 The small flowers are non-resupinate with distinct hairs that can be found on the outside of the flower and also on the lip.